Richie Benaud, who died this year aged 84, was "perhaps the most influential cricketer and cricket personality since the Second World War" according to Gideon Haigh, the world's best cricket historian. He excelled as a batsman, legspin bowler, revolutionary captain – and most of all as a commentator in England and Australia for almost 50 years. He was universally loved for his authority, knowledge, dry wit and generosity of spirit. Benaud in Wisden records the highlights of an exceptional career both as a player and a journalist. There are edited reports on each of his 63 Test matches, including the legendary Tied Test of 1960-61 and the match at Old Trafford in 1961 when Benaud memorably stole the Ashes from England. "If one player, more than any other, has deserved the goodwill of cricket for lifting the game out of the doldrums, that man is Richard Benaud,†? said Wisden in 1962. 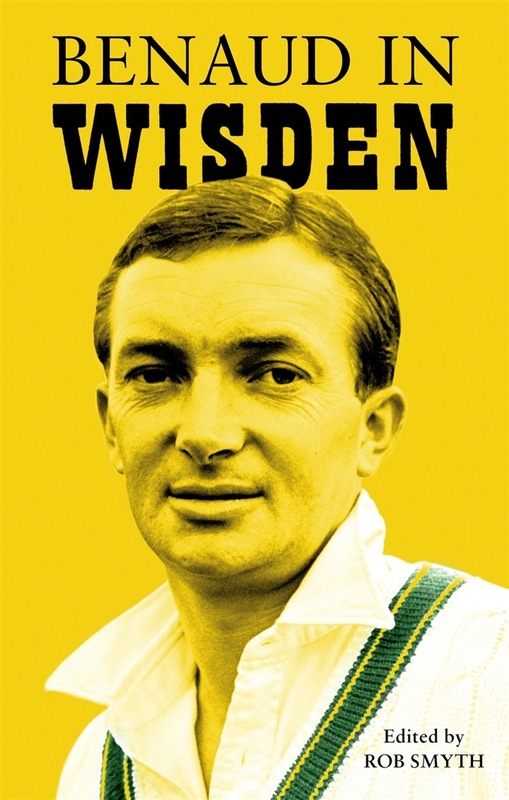 The book also includes a series of articles written by Benaud in the Wisden Almanack after his retirement, as well as features from Wisden Cricket Monthly, The Wisden Cricketer and Wisden Asia Cricket. Benaud's impact was so great, and so enduring, that the book will appeal to teenagers, nonagenarians and everybody in between. It is the definitive record of a unique career. Acquista Benaud in Wisden in Epub: dopo aver letto l’ebook Benaud in Wisden di ti invitiamo a lasciarci una Recensione qui sotto: sarà utile agli utenti che non abbiano ancora letto questo libro e che vogliano avere delle opinioni altrui. L’opinione su di un libro è molto soggettiva e per questo leggere eventuali recensioni negative non ci dovrà frenare dall’acquisto, anzi dovrà spingerci ad acquistare il libro in fretta per poter dire la nostra ed eventualmente smentire quanto commentato da altri, contribuendo ad arricchire più possibile i commenti e dare sempre più spunti di confronto al pubblico online.